The CommonWealth Magazine group launched a new activity of 'smile of 319', 'Post Taiwan to the World' on 25 July. 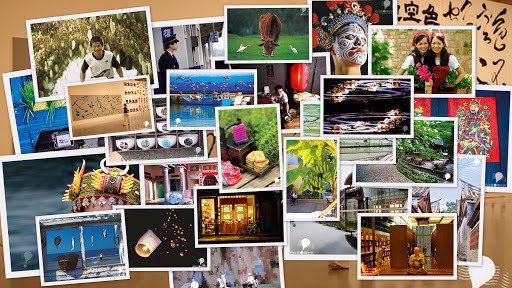 They selected 25 images of Taiwan and printed 100 millions postcards to let everyone to post to the world. It is no doubt that 25 images cannot represent a country, but they surely show the beauty of Taiwan, passion, hospitality, art, life, tradition, modern, technology, simple and plain, and so forth. I am not used to buy mass printing postcards in chain bookstore, but special kind limited in scenic area. However, I would like not only post these postcards, but also collect them. This postcard is still on my desk. I'm going to send it later in the morning. But I cannot wait to write my blog to share with the world. Taiwan was hit by Typhoon Morakot in early August. The atrocious weather brought almost annual amount rainfall in four days and caused flood and mudslide. Thousands of citizens lost their homes and hundreds of folks lost their lives. The rescue team is still in action. We could be hit but can not be beaten. We, Taiwanese, now are calling the world to pray for us by this postcard. God bless Taiwan, and pray for the victims. It arrives on 28 Aug. Great!